Support baby’s moisture balance with a little plant guidance and wisdom from nature. Comforting cream leaves baby’s face velvet-soft. There’s a lot of learning when baby first faces the world – and baby skin is developing, too. Very young skin is more fragile than grown-up skin. Skin needs loving care. Calendula Face Cream certified natural by NATRUE includes soothing calendula extract that wraps like protective blanket around tender facial skin, while skin-friendly lanolin and organic almond oil moisturize and shelter. Easy to apply to the face and quickly absorbed. Moms and midwives trust Weleda to bring the harmony of nature to baby care. Moisturizing, soothing, easily absorbed, shelters skin from dryness. Helps support skin’s moisture balance and leaves it velvety-soft. Dermatologically-tested very skin friendly, even on sensitive and fragile skin. 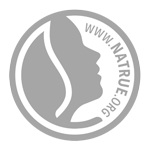 Free from synthetic preservatives, fragrances, colorants or raw materials derived from mineral oils. Suitable for use by adults with sensitive skin, too. The calendula blossom used in some of Weleda’s NATRUE certified natural products is cultivated in Europe’s biggest biodynamic plant garden in Germany. But would find it useful to know how much of each ingredient the face cream contains.